Amazing 4 bed, 3.5 bath, 3333 sq. 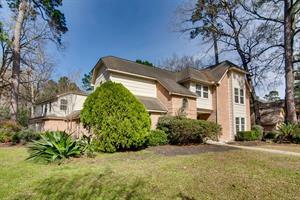 ft., 2 story home in Kingwood, TX! Open and spacious floor plan. Huge kitchen with lots of cabinets and plenty of counter space. Lovely living room with wet bar and cozy fireplace. Formal dining and breakfast areas. Master suite features dual vanities, luxurious tub and separate shower. Large backyard! Be sure to schedule your showing today! Beautiful 4 bed, 3 bath, 3769 sq. 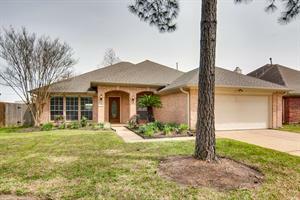 ft. 2 story home in Pearland, TX! Open and spacious floor plan. Grand entry with curved stair case. Awesome island kitchen with tons of cabinets and lots of counter space. Breakfast area. Open living room with lots of windows, perfect for natural light. Formal dining room and office/study area. Huge game room up! Master retreat features dual vanities, luxurious tub and separate shower. Outdoor living area in backyard. Be sure to schedule your showing today! 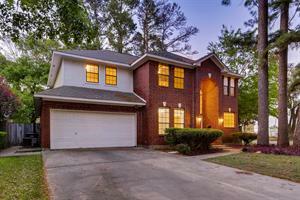 What a great home in the Klein School District. Kitchen open to den. French doors to covered patio. Master bath has whirlpool tub and separate shower. Block paneled ceilings in den and dining room. Corner lot. Great extra room can be study .Spacious 4 bedrooms upstairs. Beautiful brick home on over-sized corner lot! Spacious home with generous room sizes! Master Suite is on the first floor with sitting area and spa-like bathroom! Custom built-ins enhance the beauty of the large Living Room! Plenty of cabinets and Corian Counters in the kitchen! Ample sized Game Room! Backyard boast has a resort style feel with pool, spa and palm trees! Property is professionally managed! Pet Friendly options! Spectacular 3 bed, 2 bath, 2287 sq. 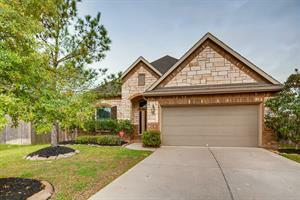 ft. 2 story home in Red Oak, TX! Open and spacious floor plan. Gorgeous kitchen with lots of cabinets and plenty of counter space. Breakfast area with backyard views. Lovely living room with cozy fireplace. Master suite features dual sinks, luxurious tub and separate shower. Be sure to schedule your showing today! 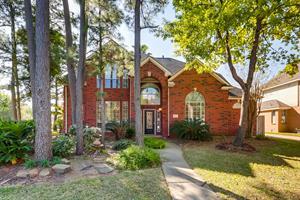 Wonderful home in highly desirable Wortham Estates on cul-de-sac lot! Grand entrance! Elegant Dining Room with great natural light! Study with French Doors for added privacy! Built-ins frame the gas fireplace in the Family Room! Sizable Game Room on the first floor! Kitchen with over-sized island with ample cabinet space! Generous sized bedrooms! Backyard Oasis with in-ground hot tub with rock waterfall feature and Putting Green! Three car garage with air condition and TV hook-ups! Driveway with electronic gate! Breathtaking 5 bed, 3.5 bath, 2686 sq. 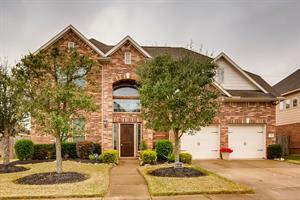 ft., 2 story Brighton home in sought after Lakes of Bella Terra! Open and spacious floor plan! Large kitchen with lots of cabinets & counter space, granite, tile back splash, and breakfast area. Cozy living room with beautiful fireplace. Formal dining room. Over-sized master suite (downstairs!) features dual sinks, luxurious tub, walk in shower, and huge closet. Game room/loft upstairs with remaining bedrooms. Covered porch and patio. Cul-De-Sac lot!. Easy access to major highways. Schedule your showing today! Amazing 4 bed, 3 bath, 2746 sq. ft. home in Richmond, Tx! Open and spacious floor plan. Gorgeous kitchen with tons of cabinets, lots of granite counter space and breakfast area. Opens to cozy living room. Formal dining area. Master suite features dual vanities, luxurious tub and separate shower. Game room up! Huge backyard. Be sure to schedule your showing today!